Stop making excuses and come to a local club shooting match – they’re a great way to get better. I regularly try to encourage my friends to join me at local club matches, particularly USPSA and Run and Gun matches. A very common response is, “I’ll come to a match when I get better.” That is pretty much the worst response out there. Shooting competitions are how you get better! 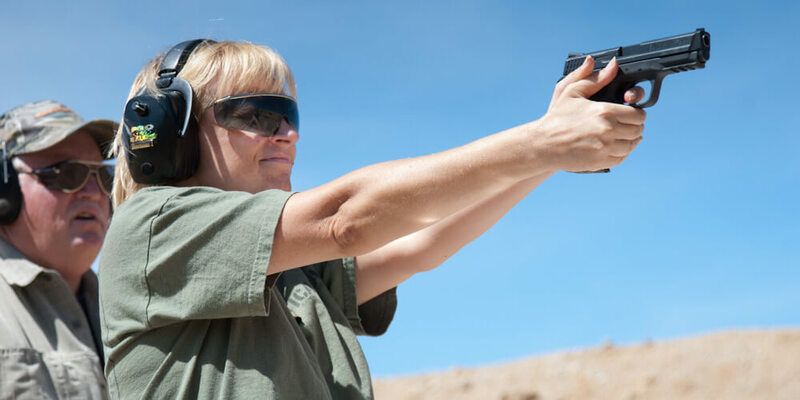 At a USPSA match earlier this year, a woman attended and it was her second time ever live firing a handgun. Two weeks prior she bought the gun, one week prior she attended an NRA Handgun Basic course, and then she went to a match! She was slow, but safe. Not a single person at the match made fun of her and everyone was happy to give her the advice she asked for. We love it when new shooters come to matches. It’s possible to notice an improvement between the first and final stage of the match, that’s how much people tend to learn at these things. I’ve never seen anyone make fun of a new shooter who is eager to learn. Think of local club matches as a pickup game of basketball amongst friends. Except not only are your friends there, but professional players from the NBA – who are willing to give you advice on how to get better! 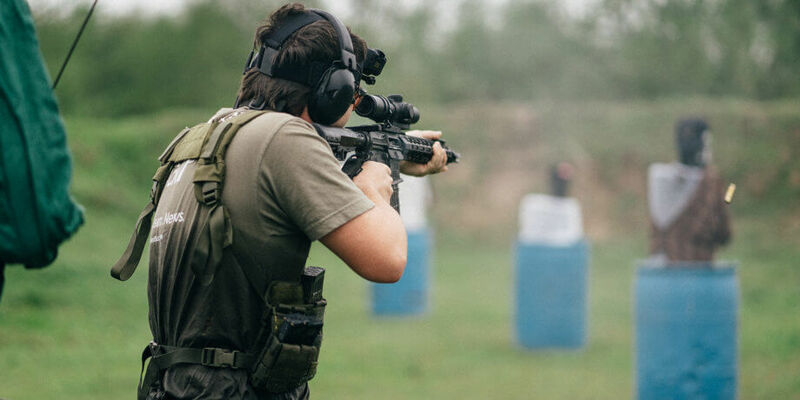 The level of shooting proficiency some competitive shooters are able to obtain is quite impressive, and most all of them are willing to give tips to the newer shooters. In addition to the advice given, shooting competitions allow shooters to practice things they cannot practice at a static firing line. 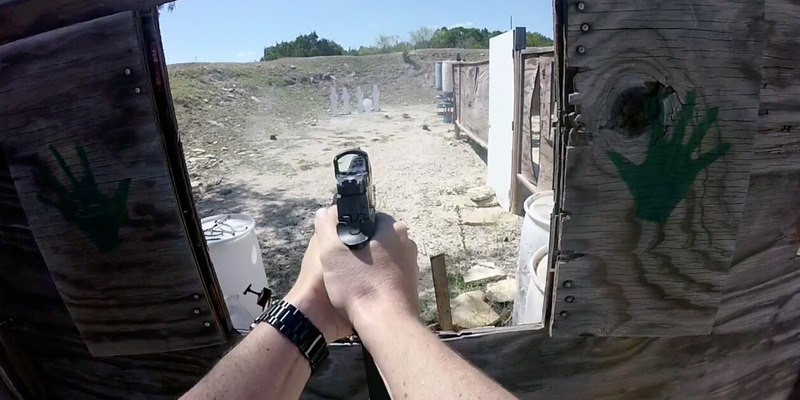 Shooting skills like rapid fire, moving and shooting, leaning around barricades, moving targets, and more can be practiced at shooting competitions, particularly competitions like USPSA, IDPA, and 3 Gun. Aside from a private range, there aren’t many places you can practice stuff like that. 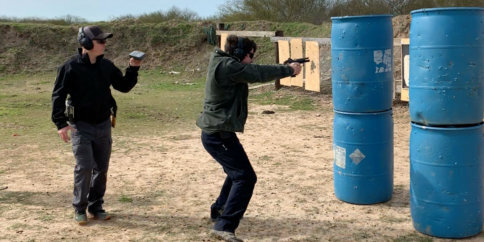 If you’re interested in defensive handgun shooting, matches are a great way to practice an important skill – handling stress. A defensive shooting would be the most stressful incident of your life. It is correct that a shooting competition won’t be as stressful, but it sure is more stressful than a casual training session at the range. If you’ve never shot a match, you’d be surprised how much stress that shot timer buzz can induce. The amount of shooting competition formats out there is quite impressive. There’s something out there for everyone. Not sure what you’re interested in? Try them all! Perform a quick web search for “shooting competitions [insert your town here]” and see what’s out there. 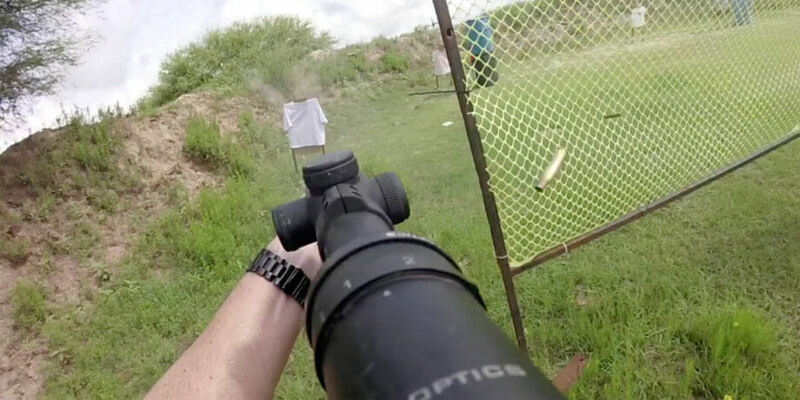 While you’re at matches, ask fellow competitors what else they shoot – you’ll find some interesting stuff! Stop making excuses – join us at a shooting match! If you’ve ever made an excuse for not going to a shooting competition in your area, stop making excuses – and just go shoot! It’s the best way to get better and you’ll have a blast doing it.